One Hyde Park, in the heart of London, is considered to be the world’s most expensive residential building. Beneath the glittery surface, however, a snapshot of its owners and residents can tell us a great deal about the nature of modern capitalism. A home from other homes for the global ruling class, One Hyde Park’s “residents” live in fear of contact with the rest of the world. Which is not so surprising given that their wealth is derived from the destruction of so many other people’s lives. One Hyde Park is built by the CPC Group, owned by the ever indulgent Candy brothers; with further investment support having been provided by Qatar’s prime minister, Sheikh Hamad bin Jassim al-Thani. (For the record the Sheikh’s Qatar Investment Authority is the largest shareholder in British supermarket chain Sainsbury’s.) Residents include Viktor Kharitonin (“likely to be a co-owner of Russia’s largest domestic drugmaker”), Rinat Akhmetov (Ukraine’s richest man), Vladimir Kim (until recently the chairman of the London-listed Kazakh copper giant Kazakhmys plc), and singer Kylie “I Should be So Lucky” Minogue. Founded in 2004, the Candy brothers’ CPC Group is based in the well-known tax-haven, Guernsey, and since 2006 their boardroom has been chaired by Michael Ayre, a tax and investment management specialist who recently served as the Group Managing Director of Fortis Guernsey. The former CEO of CanArgo, David Robson, happens to also be the founder and former CEO of JKX Oil & Gas plc — whose principal profits are drained from the Ukraine and Russia. Here, by following a dense web of corporate intrigue, one can observe that the recent chairman of JKX was Lord Fraser of Carmyllie, who formerly gained employment as a board member of the London Metal Exchange, where he “worked” for five years with the then-CEO of the London Metal Exchange, Simon Heale. 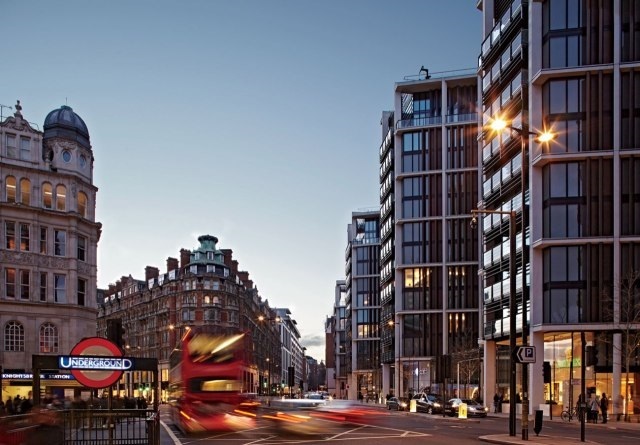 These connections demonstrate how closely connected are the financial interests of the owners of One Hyde Park and their resource-rich residents, as Simon Heale himself recently replaced Vladimir Kim as the chairman of Kazakhmys. Moreover, it is no coincidence that a fellow plunderer of Kazakhstani resources, Tethys Petroleum, is a former subsidiary of CanArgo. With so many precious resources needed to build and decorate the apartments at One Hyde Park, it seems fitting that CPC Group Finance Director, Tim Dean, is also in the mining game. Thus Dean is a board member of Metals Exploration plc, a mining giant whose operations in the Philippines — as is usually the case — are being strongly opposed by local communities. Metal Ex is no small fry in the immensely lucrative mining world, and their CEO, Jonathan Beardsworth, was formerly the head of the London office of Standard Bank plc’s Mining and Metals team. However, given the massive profits that can be made through the mining industry, it should come as little surprise that CPC Group Chief Operating Officer, Richard Williams, retired from Metal Ex’s board room just last year, especially considering that CPC’s founder, Christian Candy, is a major shareholder in Metal Ex. That such wealth exists amid such poverty, is par for the course for capitalism, which makes it all the more important that workers join together through unions and political parties to fight back and create a global political and economic alternative that is capable of providing for all, not just for the rich. Jonathan Beardsworth is presently a board member of Baobab Resources plc which is focused on mining in Mozambique, and whose chairman, Jeremy Dowler, is a founding shareholder and the former Finance Director of Platmin Limited — a platinum exploration and development company with projects in South Africa. The current Platmin CEO, Tom Dale, likes to reading about Jungian metaphysics in his spare time, and is the former Managing Director of Gold Fields Ltd. Notably, South African Gold Fields’ workers have been at the forefront of efforts to fight against their oppressive bosses, playing a leading role in the recently formed Workers & Socialist Party.